Between the time we announce The Story Prize finalists in early January and the event at which we honor all three of them and present one with the $20,000 top prize, we spend a lot of time worrying about filling the seats in The New School auditorium. We always end up doing pretty well on that count (and probably would without worryng about it as much as we do), but we're still eager to have a substantial audience to support the three authors, The Story Prize, and the form we exist to promote—short fiction. The authors always prove to be interesting and amusing, but it's also no secret that writers aren't necessarily the most outgoing bunch. We all know that their real performances take place when they are alone and writing, and that what matters most happens on the page and through the deeply personal experience of reading their work. So whether you plan to join us or not, we can't recommend too highly the three books we're honoring: The Other Language by Francesca Marciano, Thunderstruck by Elizabeth McCracken, and Bark by Lorrie Moore. Tickets are $14 (close to the same as a movie ticket). The event is a week from today, on March 4 at 7:30 p.m., at The New School auditorium at 66 W. 12th St. Please join us if you can. We invited graphic essayist Kristen Radtke to provide the front cover art for the program for The Story Prize event this year, and we are very lucky that she said yes to creating an original image for us. What you see here is just part of that cover—a sneak preview. Everyone who attends the event will get to take home the 8-page full color program, designed by Steven Charny, who carries through the themes of Radtke's beautiful illustration throughout. 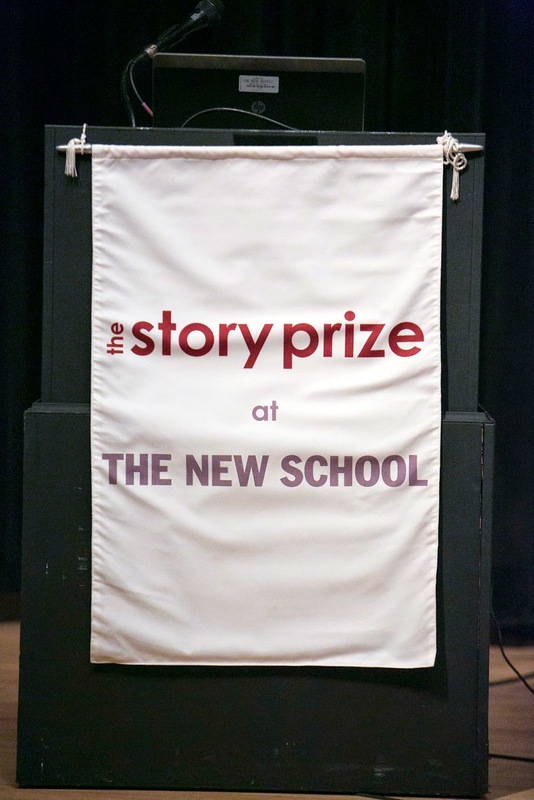 If you want to see the finalists for The Story Prize—Francesca Marciano, Elizabeth McCracken, and Lorrie Moore—read from and discuss their work on-stage and take home a copy of the program, buy a ticket and join us.